Being the son of a star athlete has its perks, and LeBron James’ kids are no exception. They get access to many things that the average boy may not—including fine wine. 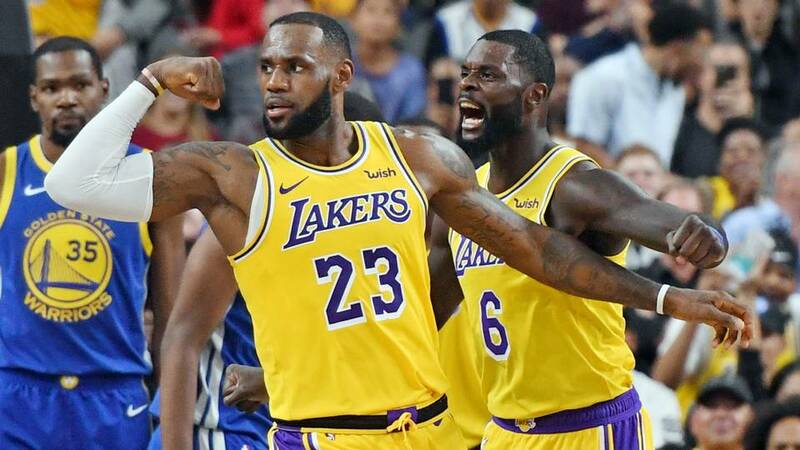 LeBron James is known for being a bit of a wine connoisseur, and he recently revealed that he allows his two oldest sons, LeBron Jr. and Bryce, to sip the alcoholic drink at dinner. Prior to the Los Angeles Lakers debut this week, reporters asked James what type of pop culture tidbits he had learned from his younger colleagues. He responded that he and his oldest kids like a lot of the same things, so he knows a lot about what young people are into. “Everything that they (his teammates) listen to these days, my 14-year-old and my 11-year-old, they watch, too,” James told USA Today. He added that his sons are very sophisticated for their age, so much so that they have adopted some very adult habits. Apparently, his three-year-old daughter Zhuri does not indulge. Reporters followed up with James about the kind of wine he allows his kids to drink, but the NBA star didn’t elaborate. He did, however, made sure to accept all the responsibility for his sons’ drinking habits. Fans who follow James on social media know how much he loves wine. He routinely spends between $300 and $500 on a bottle, and last year he and Kevin Love indulged in seven bottles worth about $1,200. He’s settled bets with wine and enjoys imbibing with the ones he loves—obviously. While the drinking age in the United States is 21, it’s much younger in other countries, including Canada. In Europe, the age ranges from 16 to 18 years old. It’s not uncommon for European teenagers and even children to drink small glasses of alcohol with their families.